In this final module we will look back at what we've learned in the preceding modules. 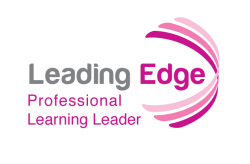 You will have an opportunity to assess your readiness for being a Professional Learning Leader in the digital-age. You will reflect on your areas of strength and areas for growth. We will review the requirements for the Leading Edge Certification portfolio and procedures for creating, revising, and submitting your completed portfolio.